The Pyramids. The Taj Mahal. The Great Wall. Easter Island. Bagan. Angkor Wat. At a certain point I hit a travel snob dilemma of site fatigue. When I visit a site I am void of any emotion, neither overwhelmed or underwhelmed. 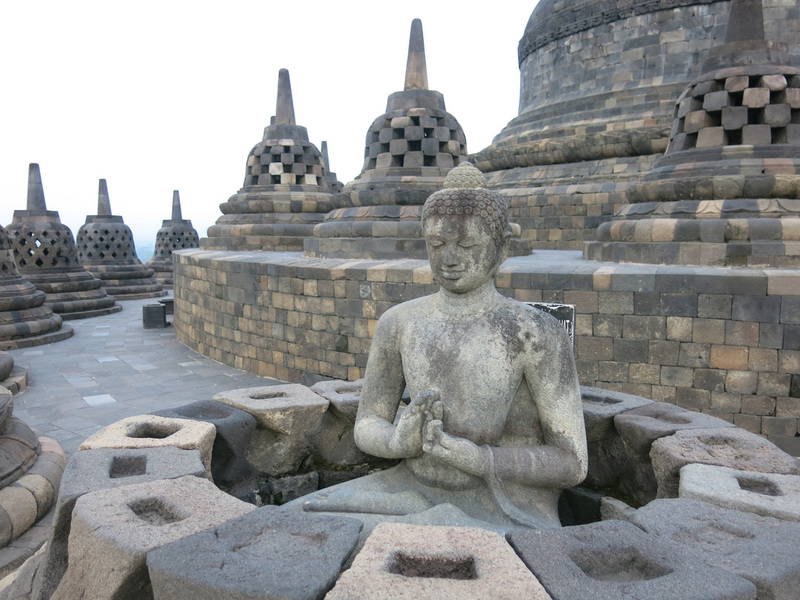 At Borobudur I didn't fall into a trap of comparing it to every site I've previously visited then assign it a place on the attractions scale - I tried to experience the site in that moment. Unfortunately there was nothing left in the tank. The busy street life, the village homes along a river, it's these sites on the drive to the site that excited me more. 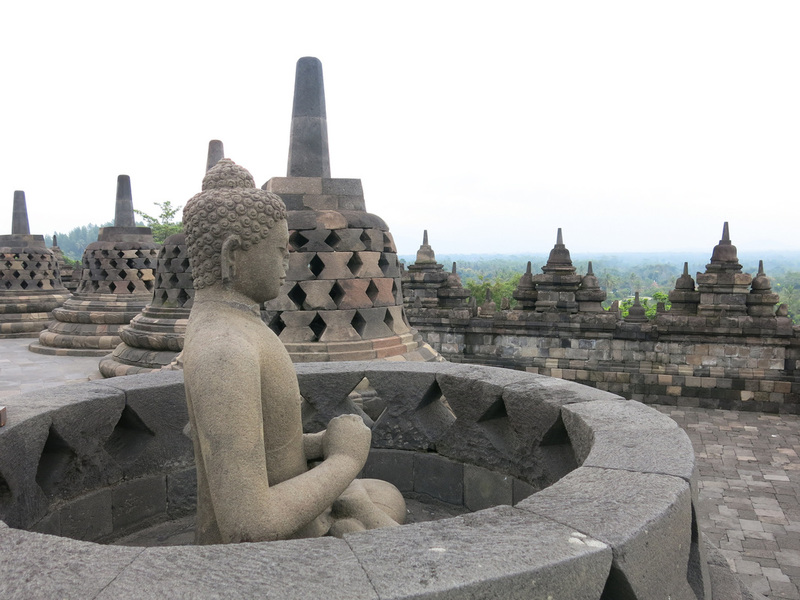 Borobudur is a large, nine storied Buddhist temple complex an hour north of central Yogyakarta. 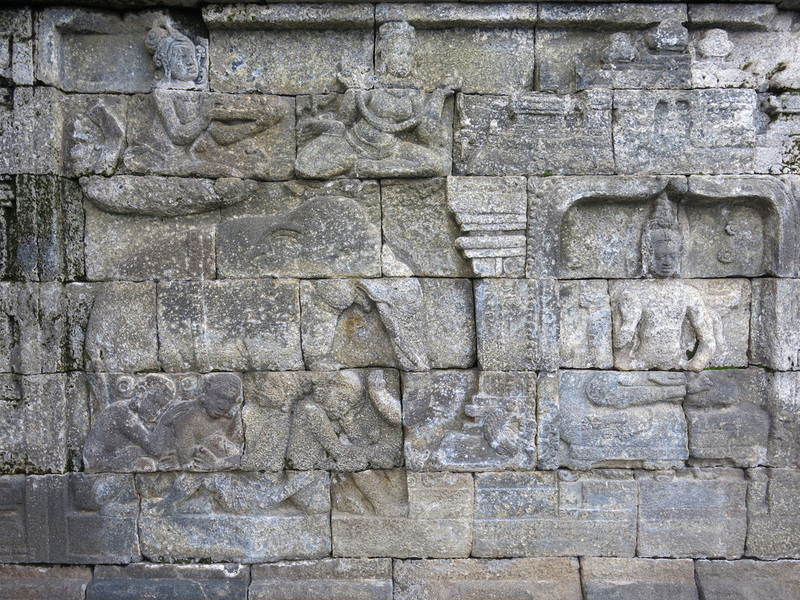 The first six terraces contain reliefs of the Buddhas life story from his birth to search for the ultimate truth. 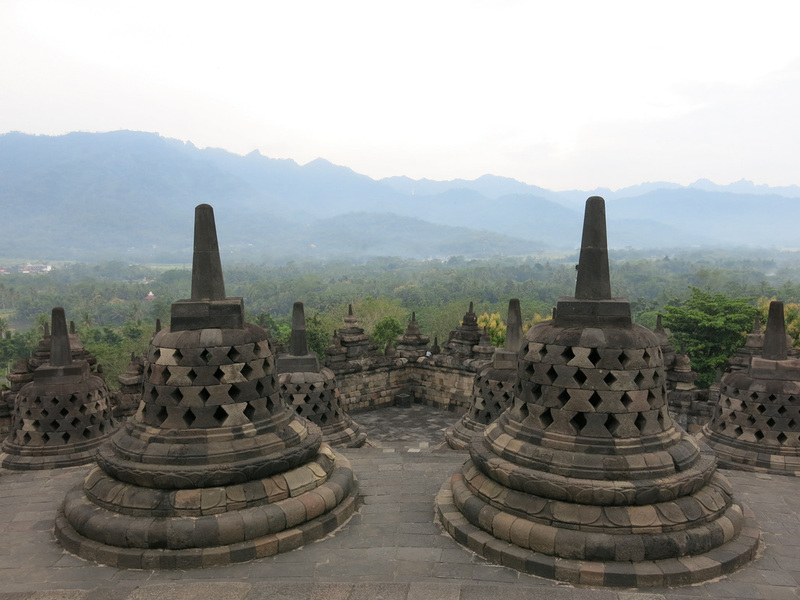 The upper three terraces are more open and provides a more panoramic view of the jungle below and the mountains beyond. 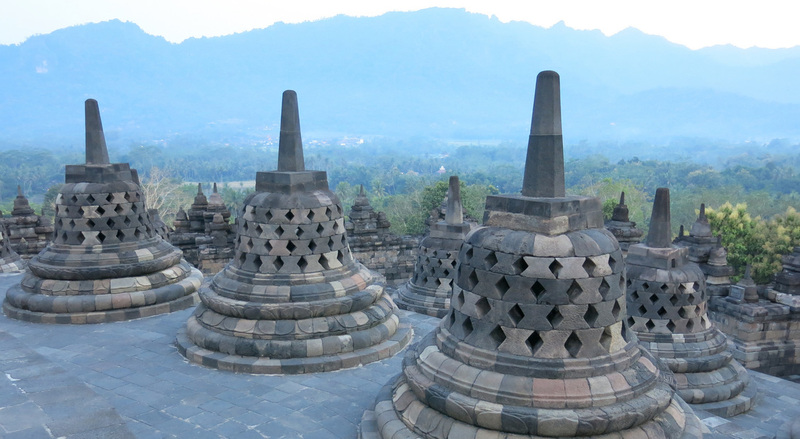 These terraces contain small stupas with lattice cut openings to reveal a meditating Buddha inside. 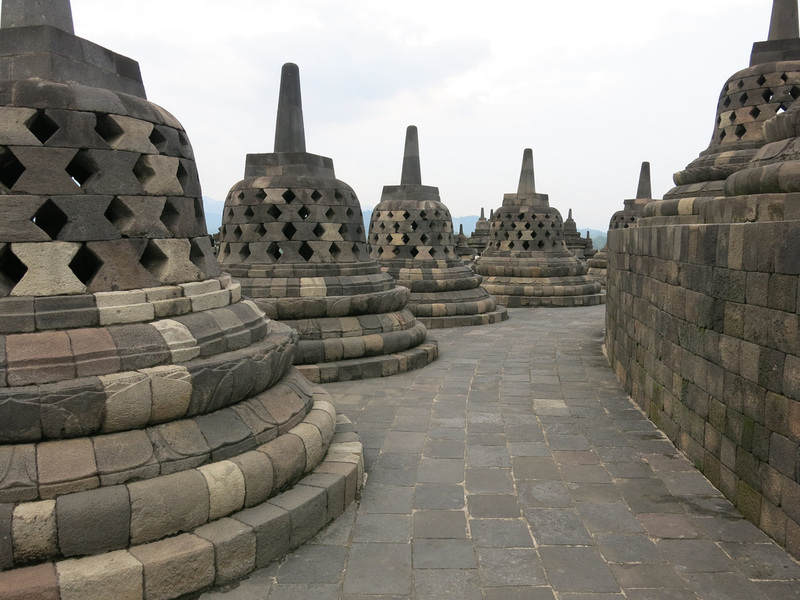 Borobudur was constructed during the 700s and then for reasons unknown, possibly a volcanic eruption or mass conversion to Islam, the site was abandoned. 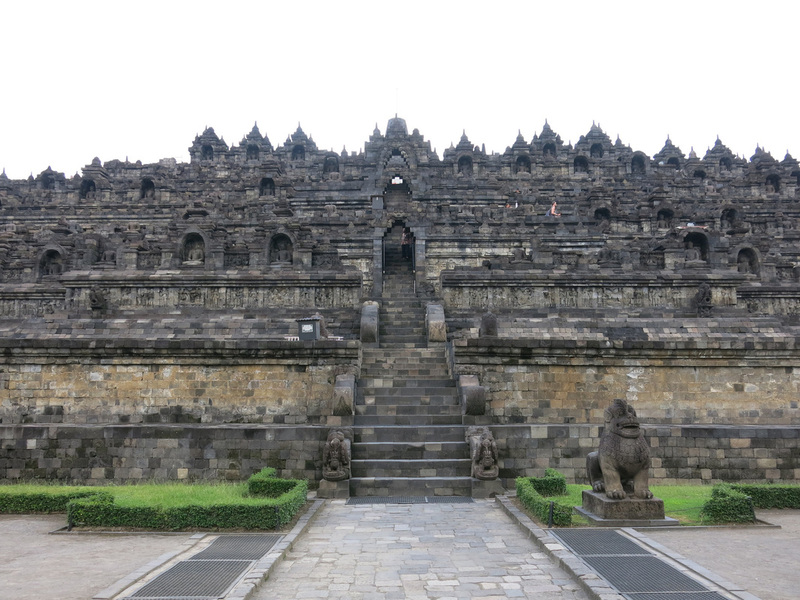 The site was rediscovered in the 1800s and has since become a top attraction in East Java. I visited in the afternoon and purchased a premium ticket from a site adjacent hotel which allowed me to spend an extra hour at the site after the day crowds were escorted out - the ticket costs 380,000 INR vs. the standard price of 230,000 INR. 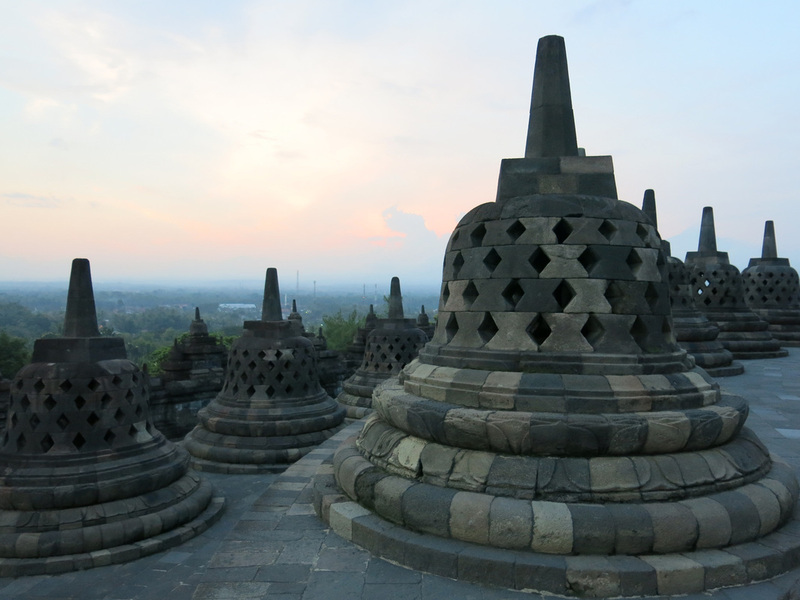 A similar option is available for sunrise, however, this would entail leaving Yogyakarta around 4:30 am. I'm not a huge fan of sunrises so once I learned that a private, air conditioned SUV would only cost me 300,00 INR I was on my way. 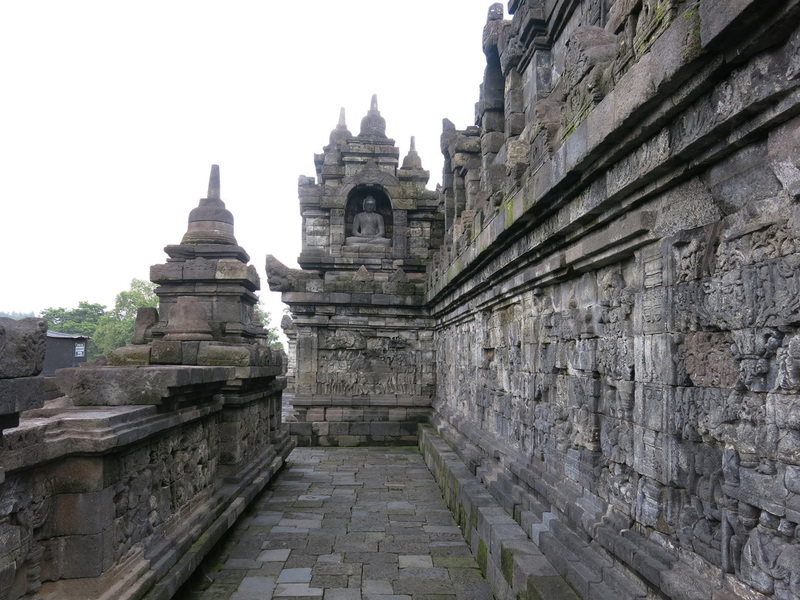 When I arrived there were 100 or so high school aged students running around and enjoying the temple. At sunset there were less than ten people. I took a few unobstructed photos and watched the sunset. It became dark and a hotel provided flashlight was useful in my return to the temple base. I had a complimentary coffee at the hotel and was soon on my way back to Yogyakarta. With the one site I wanted to see on the trip out of the way it was time to focus on local life for the rest of the trip. 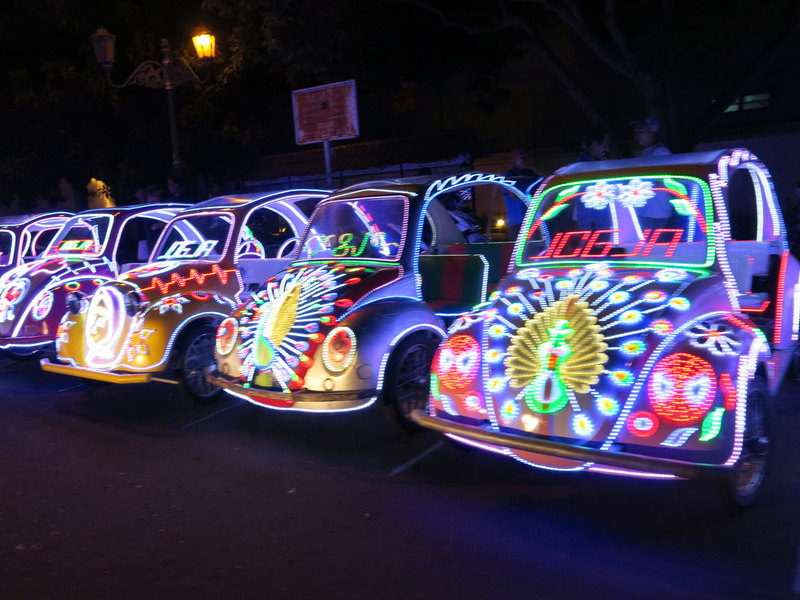 It wasn't long before I saw something distinctly Indonesian. 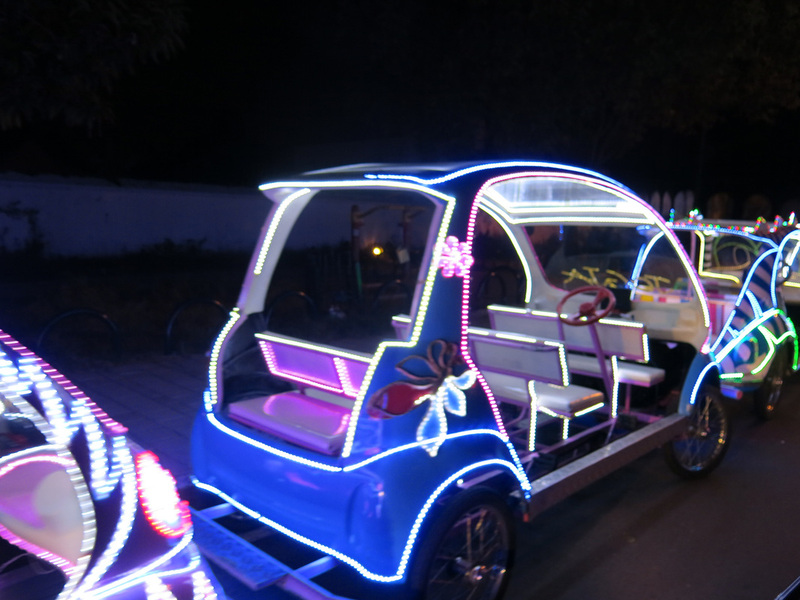 The route back to the hostel passed through an open square and the thing to do seemed to rent a pedal cart with a frame outlined with bright fluorescent lights. A TV in the center console played music videos. 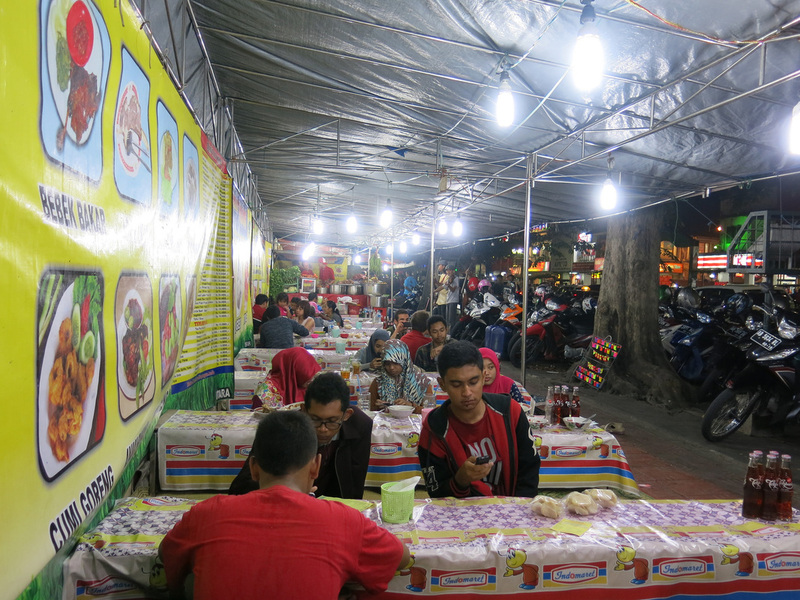 For dinner I went to the Malioboro Road area. 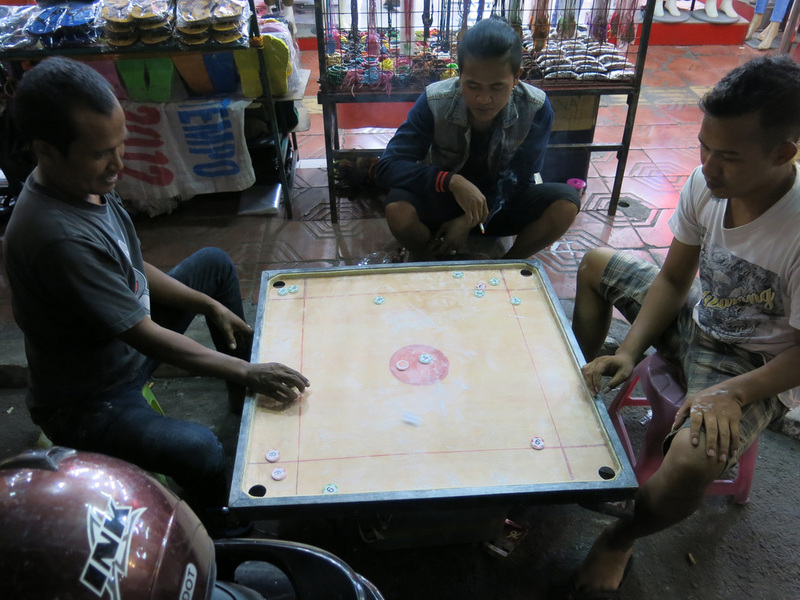 On the northern section of the road restaurants were set up along the sidewalk offering a taste of the local cuisine. To eat the meal you had to remove your shoes and then sit with folded legs at a table less than a foot off the ground. Bands roamed among the diners playing for tips. 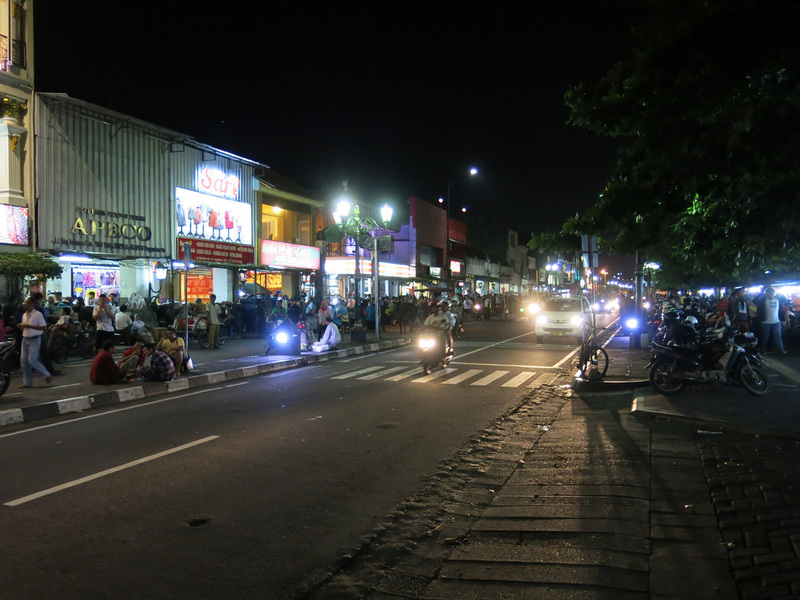 For a Tuesday night this central strip of Yogyakarta was rocking. Shoppers were out in full force and every few blocks musicians gathered and played music for the crowds. Horse drawn carriages shuttled shoppers back home. 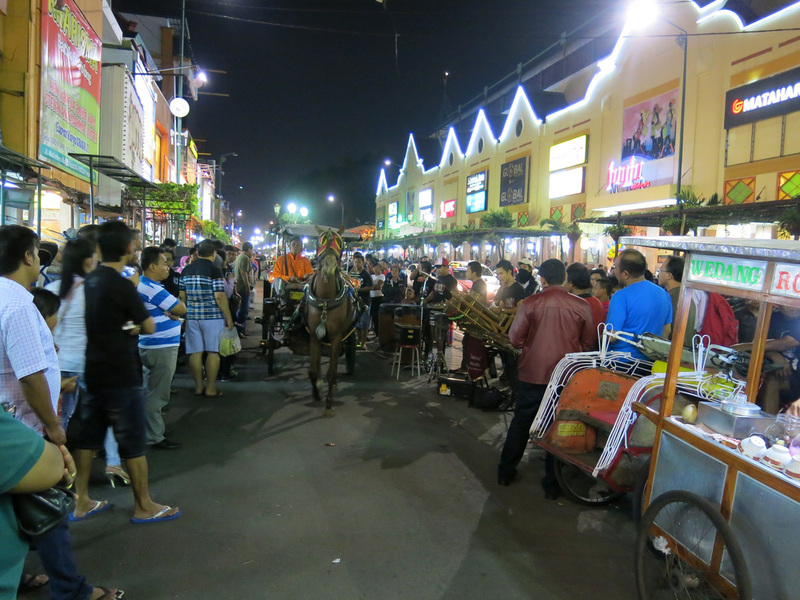 I walked to the Kraton Palace area before hopping in a cycle cart for the rest of the trip back to the hostel. I made a pass through the neighborhood and stopped in a bar with musicians playing American rock music. After one beer I called it a night and went to bed. 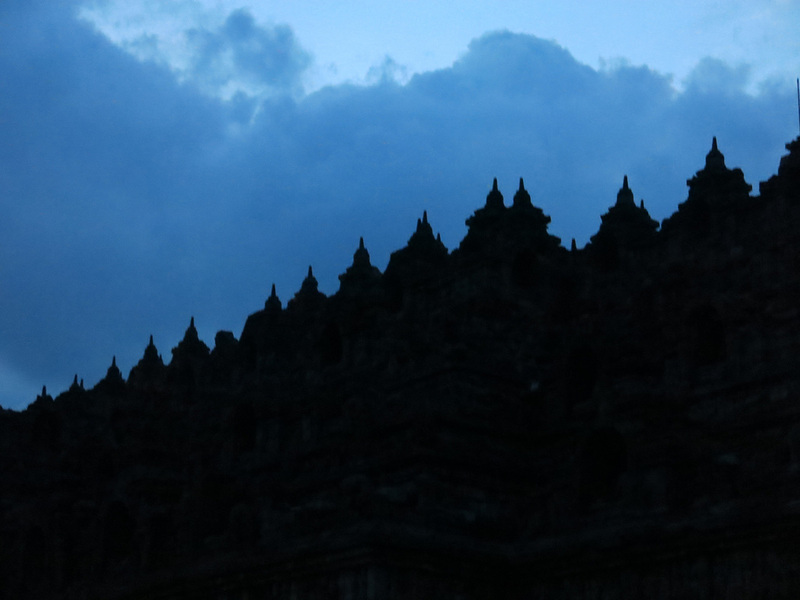 The night of discovering and wandering through Yogyakarta made up for the initial underwhelming impression at Borobudur. 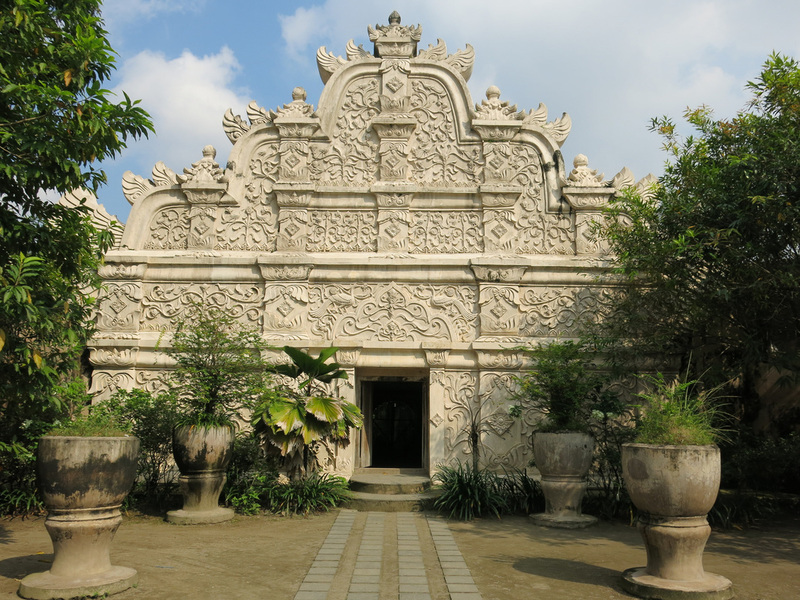 The next morning I left the hostel before eight and started walking to the Taman Sari, Water Palace area of the Kraton Palace complex. 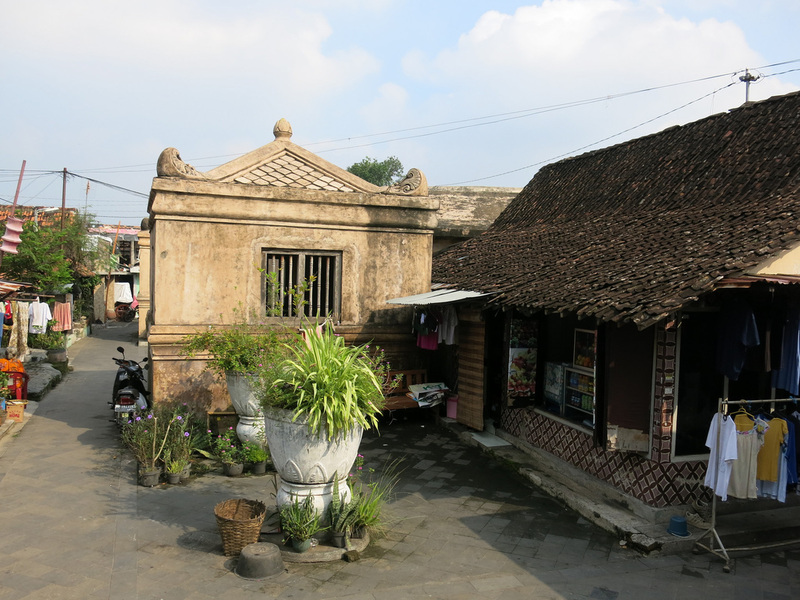 Yogyakarta was, and still somewhat is, home to a local sultanate. 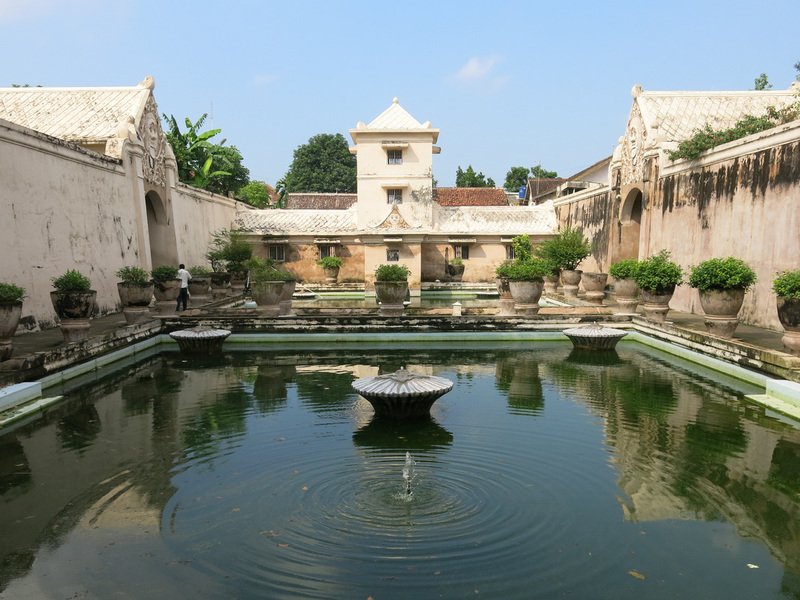 The royal family no longer uses the Water Palace, which is not really a palace, but rather several pools to cool the royal family during warm days. 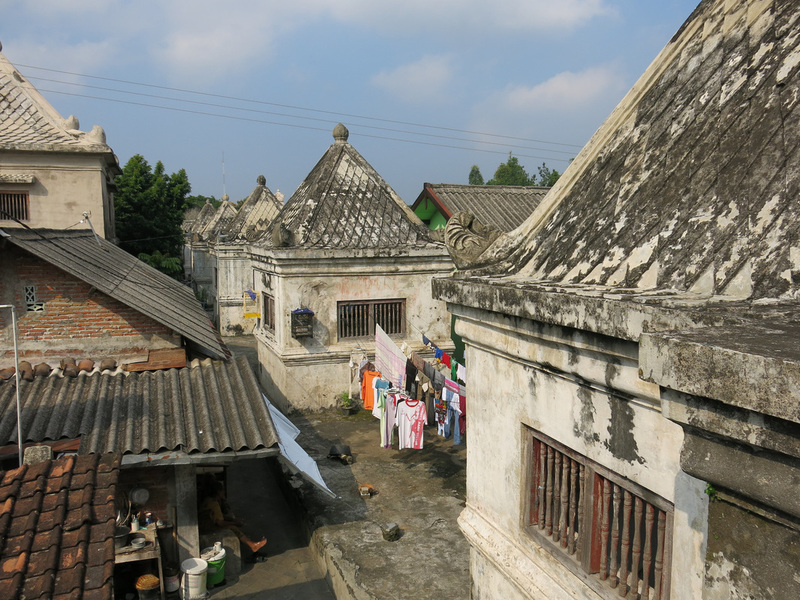 Local villagers have taken up residence around the palace and walking by their homes through the warren of surrounding lanes helps to accentuate the experience. 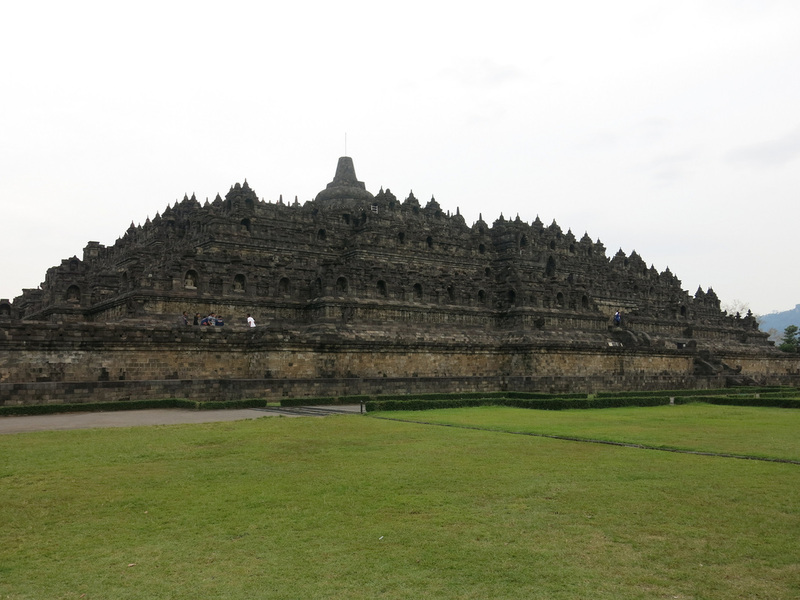 For additional Borobudur and Yogyakarta photos see FLICKR ALBUM.